The Los Angeles Lakers are heading into the offseason without a president of basketball operations, head coach and, frankly, an identity. Last season, the idea was that LeBron James would carry the team while the young core developed. That plan was derailed, however, when the front office made it known to anyone with access to Google that everyone on the roster was available in return for Anthony Davis. Still, reports like Oram’s don’t come from nowhere and, quite frankly, it makes perfect sense that some would be put off by James publicly pressuring the front office to get Davis to Los Angeles, something that would require some of his current teammates being relocated. And yes, James knows the power of his words when uttered publicly, him saying it would be “amazing” to play with Davis was not innocuous. 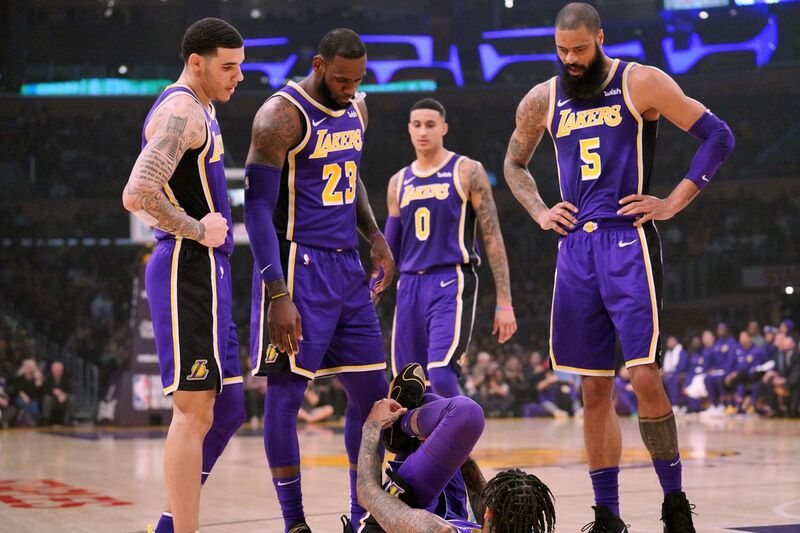 And when combined with his antics on the court (that eventually required a player’s only meeting to clear up), James didn’t seem to fully live up to his promises of patience and his looking forward to being a mentor for the young guys. All that said, everyone involved needs to move on. The kids have now gone through the experience of being on the trade block for the first time and have said they learned to deal with it, and probably (hopefully?) won’t ever go through such a public negotiation again anyway. James and his camp haven’t walked away from a situation or a season with this much eggs on their faces since... ever. If everyone involved wants to do their part to turn things around, they’ll have to find ways to coexist, and based on exit interviews at least, that process has started. What all this really comes down to is a) whether the young core gets put back onto the trade block as soon as this postseason is over and Davis is once again made available to the highest bidder and b) if not, whether the team has spent enough time apart to get past this turbulent season. If the answer to that first factor is yes, then we’re likely right back where we started, though hopefully the front office will better handle the flow of information now that Magic Johnson is gone and roles are being altered. If it’s no, and that time apart doesn’t turn out to be enough, then once again, we’re right back a step one. But if the young core is kept around (a likely result at this point given everyone’s health and overall value on the trade market) and they find a way to coexist with James, then the organization can focus all its attention on redeeming itself for the disaster that was last season.